To delete devices from your approved list, go to the Sync Settings -> Approved Devices. You can swipe left to delete the device. 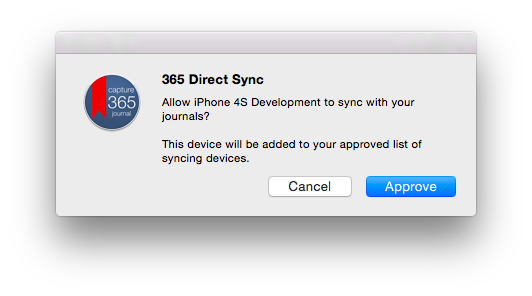 If you need to reapprove the device again, just run Capture 365 Journal on the other device with 365 Direct Sync enabled and it will prompt you to approve again.